Darkness looms as Magnus fights for his life in “Stay With Me”! Seems that we’ve reached the precipice of this season and things on Shadowhunters are about to get kicked up a notch. 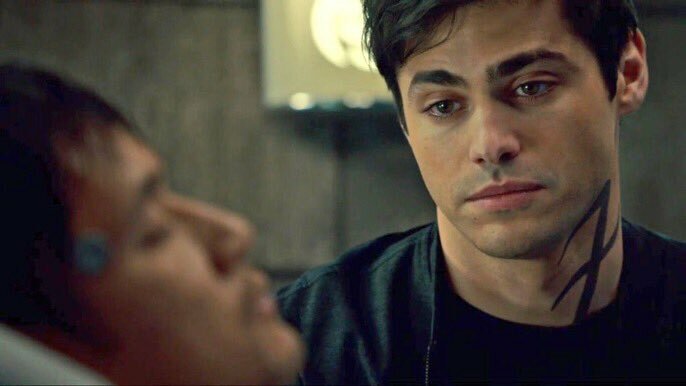 Here’s what we know from next episode’s promo:Magnus’s (Harry Shum Jr.) body is starting to reject Lorenzo’s magic and Alec (Matt Daddario)is forced to take matters into his own hands to figure out how to save his one true love. Meanwhile, Clary (Kat McNamara) is starting to struggle against the darkness inside of her and will go to drastic measures to stop it from consuming her. Will our protagonists succeed in their mission or will they fail and end their story tragically? I mean, since it’s TV I’m crossing my fingers that we’ll get our happy endings. Then again, this is Shadowhunters so who really knows right? Tune in next Monday at 8pm EST for Shadowhunters’ “Stay With Me”.